Impressionable marketing tools are said to be the dictating factor of the success or failure for a new business. Thus, branding your business can be seen as quite the burden. Full Sail Graphics & Marketing will relieve your concerns because we know what it takes to effectively brand a business. With our top-of-the-line service and marketing expertise, we have developed the 5 ways to effectively brand your business. In this article, we focus on the step by step process of creating a brand image using a vehicle wrap as your medium. However, the same five keys can be applied with the signs, banners, wall graphics, window graphics, etc. that Full Sail Graphics & Marketing designs and prints. It does not take much to start developing of a clear brand image! All you need is a business and a general vision for how you would like your brand to be portrayed. Full Sail Graphics & Marketing will take your blank vehicle and transform it into your most valuable marketing tool. The experienced graphic designers at Full Sail Graphics & Marketing have created and designed logos for countless customers. We know the importance of developing a creative, eye-catching logo that reflects the purpose of the business. Once we have decided upon a logo, that image can be used to create a consistent company identity on the vehicle wrap, signage, business cards, websites and more! the business within seconds. We believe in taking time to create this template with tons of customer input and feedback. We create a 2-D template of what your vehicle wrap (or wall graphic, window graphic, sign…) will look like for customer approval. Revisions will continue until the customer is completely happy! The printing of the final product does not begin until the customer approves the graphics. Full Sail Graphics & Marketing uses top-of-the-line HP digital, latex ink printers and 3M vinyl and laminate. The quality of materials used affects the durability of the vehicle wrap. We never skimp on quality. Full Sail Graphics & Marketing uses highly qualified installers who will get the job done quite efficiently. Customers can bring their vehicle to our installation warehouse. We are often able to install the vehicle wrap in under 2 days. Because vehicle wraps have so much potential to bring in more business, we strive to put that vehicle on the road as soon as possible. Many customers come to Full Sail Graphics & Marketing as an understated company, and leave a fully branded business. 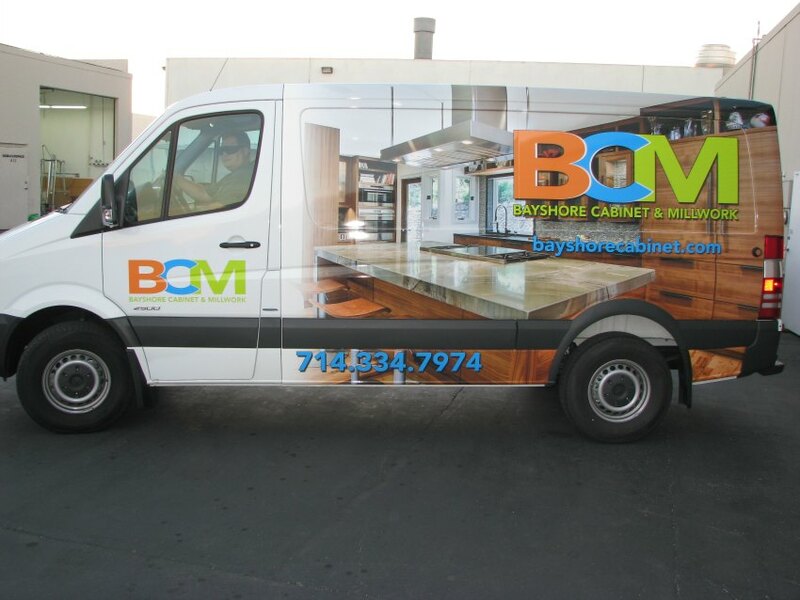 Our graphics and printing services allow us to create impressive vehicle wraps, signs & banners, displays, and window/wall graphics that will address all of your marketing platforms for branding your business. Full Sail Graphics & Marketing makes the task of branding your business quick and easy. With over 50 years of combined experience in graphics and marketing, the Full Sail Graphics team is confident that we will deliver quality graphics on time and on budget. If you’re looking for someone to be the power behind your brand, please feel free to give us a call at (714) 451-8428 or visit our website at //fullsailgraphics.com.